The main advantage of the compensated double horn is the reduced weight. As the B horn is extended by the length of the horn-F, less material is used for this model. Due to the special design of the horn, it is often supposed to have a high resistance which might be an advantage. 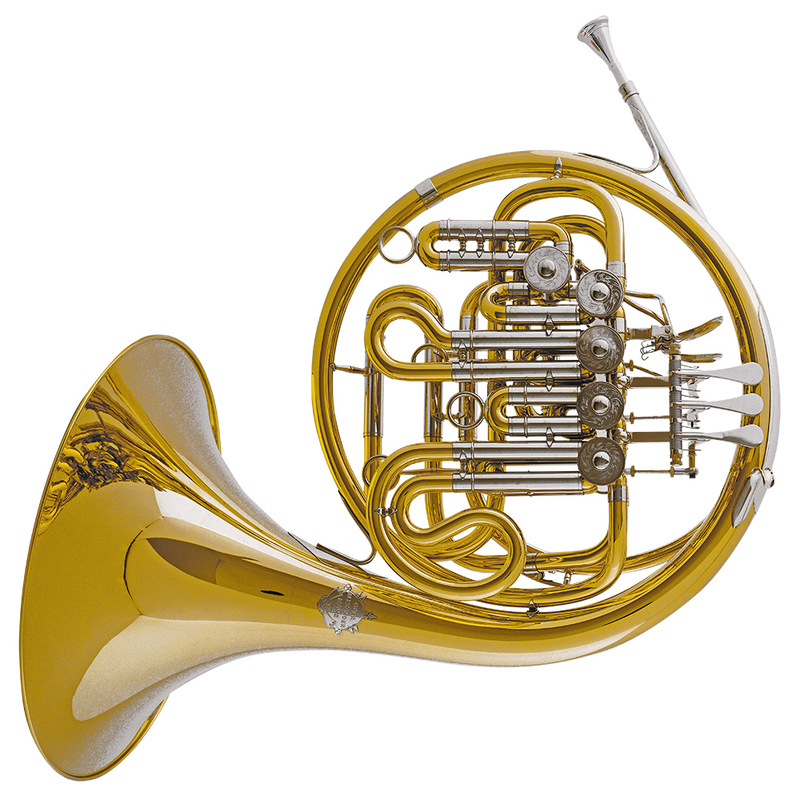 The compensated double horn is also available with an additional stopping valve (Model 102ST). By using the K-model construction, both models develop an almost full horn-sound on the f-horn as well.